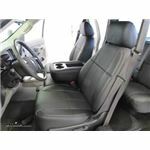 Clazzio's custom-fit leather seat covers are a stylish way to keep your vehicle's seats clean and dry. 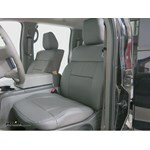 They feature memory foam seat sections and double stitching for comfort, class and durability. 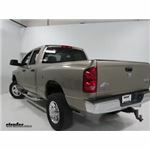 Yes, for a 2008 Dodge Ram 1500 Quad cab with front and rear 40/20/40 split bench seats Clazzio offers light gray, gray, beige, and black seat covers. 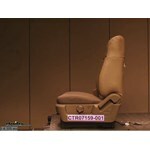 They are all intended for cloth seats only on the truck. 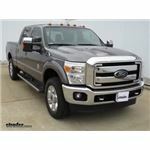 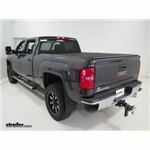 I have also included a link to all of the Clazzio custom fit seat covers for your truck. 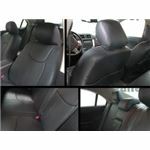 Please use the navigation on the left side of that page to select the proper configuration of your seats to be sure you get the right style of covers. 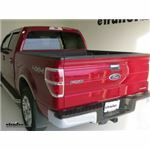 I attached a picture that I took from the install video of the Clazzio Custom Seat Cover # AL-EAGMB7520BK that you referenced (in a different color), where you can see that under the front seats is not blocked at all with the install of these covers. 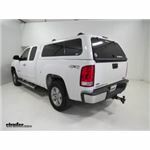 I also attached the install video for you to check out out as well. 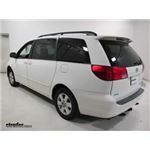 The Clazzio Custom Leather Seat Covers like set # AL-EATOC2402TTT that you referenced are meant for the 7-passenger version of the 2006 Toyota Sienna. 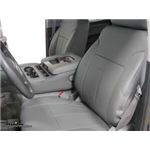 For lower cost universal-fit options you might consider two of the Aries bucket seat covers # AA3142BR along with Bench Seat Protector # AA3146BR which are both brown. 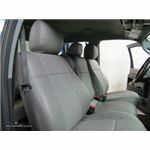 The 2008 Chevy Tahoe Denali had different enough seats from a Silverado that a cover from one would not fit the other. 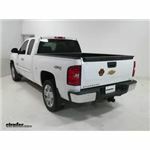 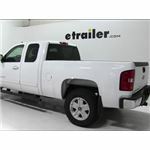 Instead you'd want the part # AL-EAGMB7531TTT for a set of beige covers that fit the Yukon. 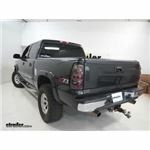 Or for black # AL-EAGMB7531BK. 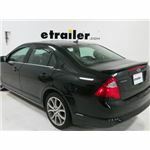 To see all the fits check out the link below. 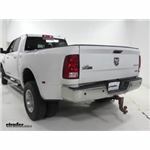 Based on what you listed for your 2007 Dodge Ram quad cab with front 40/20/40 and rear 60/40 bench the Clazzio Seat Covers part # AL-EADOB7036GGG that you listed are a confirmed fit. 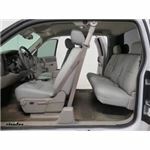 The pictures we have on this product page are example pictures to show how they'd look on a similar truck but are not the actual seats of your truck. 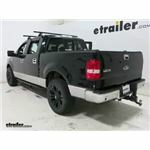 These are a fit though and will work great! 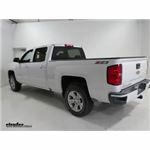 The Clazzio Seat Covers part # AL-EAGMB7514TTT that you referenced are a fit for your 2012 GMC Sierra as long as it's a crew cab. 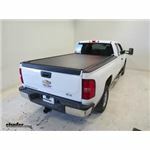 The underseat designation that these have refers to them being compatible with vehicles that have rear seat storage capabilities like what is common on your generation of truck.